Depending on your landlord and whether you are renting an apartment or house, you may or may not be responsible for certain utility bills, such as natural gas. Often, a landlord will cover certain things like garbage and water. But, when it comes to gas and electric service, many times renters are responsible for setting up and paying for the service. Be sure to ask about your landlord’s policies when touring the apartment or house. Study up on the lease that is provided by the landlord so you are not stuck without lights or heat when you move in. Once you move in, be sure to review each of your utility bills for discrepancies, particularly if you live in an apartment. There have been instances of one apartment paying for the service of another unit or common building electric usage such as public lights or laundry services being inappropriately charged to a resident. If this is the case, contact your utility. While the utility is not responsible for reimbursing you, they can provide information that you can in turn, use to solve the problem with your landlord. If your landlord is responsible for these resources, it is still important to use these resources wisely. Stay in communication with your landlord to make sure energy is being used wisely for comfort in your home or apartment. If you are moving to an apartment or house in which you will be responsible for utility bills, be sure to ask your landlord questions about the major mechanical systems such as the furnace, water heater, and air conditioner. Find out who is responsible for having the furnace and air conditioner serviced each year. Good information to have when deciding on a new home or apartment is understanding how efficient the appliances are and whether they are gas or electric. This is very important to understand when thinking through what your budget for a new home or apartment is. Many people only focus on the rent when considering whether or not a place is within their budget. But, there can be many hidden costs that can add up quickly and old, inefficient appliances are one of them. Each month when you get your bill, be sure to read through it and double check your charges. If you are enrolled in ebilling, always download your bill to see the breakdown for each charge. Check out our page on how to read a bill if you have questions or are uncertain about charges. Contact CUB or your utility if your bill seems high or if you notice a discrepancy. When moving out of a home or apartment, be sure to contact your utility companies to cancel your services. 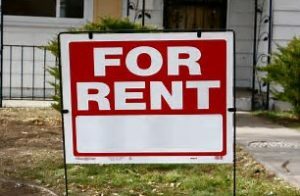 There have been instances where people have not cancelled and are stuck paying for the new tenants. The utility is not responsible for cancelling your old service. Your utility will send you a final bill that is marked as such once you cancel. Be sure to review this bill to make sure there are no errors. If you are moving to a new location that is still within your current utility’s service territory let them know your new address and move date and they can transfer your account. Work with your landlord to understand what utilities you pay for and for what you are responsible. Ask permission before making changes. Replace incandescent light bulbs with LED bulbs, and turn off lights when not in use. You could even take them with you if you decide to move. Use appliances and electronics efficiently. Run full loads of dishes in the dishwasher, use air dry option. Run full loads of laundry; wash in cold water when possible and minimize use of a clothes dryer by not over drying and cleaning lint trap after every load; use a drying rack. Cook with crockpots and microwaves. Keep refrigerators and freezers full, but not overcrowded. Turn electronics completely off and/or use power strips to reduce vampire energy use. Keep thermostat set at 68 in the winter and decrease up to 10 degrees when away from home and while sleeping. In the colder months, seal leaky areas with removeable options (if landlord does not provide permanent improvements). Use plastic film on windows. Use door draft stoppers (buy or make one or roll up a towel and place in drafty area). Keep window coverings open in the winter during daylight hours to warm your rooms, close them in the summer days to keep heat out. If you supply your own window air conditioning unit, look for an Energy Star rated unit. Use fans to minimize need for air conditioning. If you have any further questions or concerns, call CUB at 651-300-4701, ext. 5.